Mazda will debut the RF version of the MX-5 at the 2016 Goodwood Festival of Speed. The new model has an electrically foldable hard top and will be available with the same choice of 1.5- or 2.0-litre petrol engines, but with the option of an automatic transmission. It should cost from around £20,000 and will be available to buy in 2017. 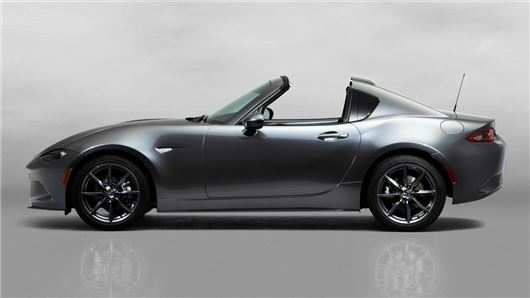 When the roof is folded the rear glass remains in place, meaning the MX-5 RF is somewhat like a targa in appearance. The suspension and steering have been tuned specifically to suit the RF, plus there is additional soundproofing to improve refinement when the roof is in place.